The Mississippi Nurses’ Association is the voice for all registered nurses and advanced practice registered nurses across all roles in Mississippi. Membership in the Mississippi Nurses’ Association demonstrates your commitment to the nursing profession and provides you access to numerous member benefits. Members: Click the button above to access members-only links and discount codes. Not a member? Click the button below to join! MNA sponsors conventions, conferences, seminars and workshops tailored to meet nursing’s needs, including new and emerging trends. Continuing education hours are also available at many district and council meetings. Educational events at the local and national level are offered at a discount to MNA members. Save up to $125 on American Nurses Credentialing Center initial certification and $100 on ANCC renewal. ANCC certification is offered to associate, diploma, bachelor’s and master’s prepared nurses. Expand your professional network by interacting with your colleagues at MNA conventions, regional conferences and district meetings; participating on one of the many MNA committees; or serving as a volunteer for community projects. You’ll receive the quarterly newspaper, The Mississippi RN and the e-newsletter, MNA Members Only. The MNA website posts current articles, news, calendars of events and continuing education schedules. To assist you in your career goals, MNA partners with leading healthcare agencies and employers throughout the state. Members have instant access to the MNA Career Center. 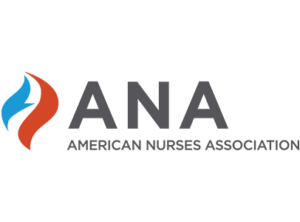 With your MNA membership comes membership in the American Nurses Association. ANA provides you with access to the award-winning Web site, http://www.nursingworld.org/ and its exclusive counterpart, “Members Only,” that gives you access instantly to ANA SmartBrief; CINAHL; ANA Nursing Insider, an e-mail based newsletter, The Online Journal of Issues in Nursing, HealthMap (the Global Disease Alert Map) and American Nurse Today. Nationwide to offer discounted auto insurance. Along with ANA, MNA collaborates with Edelman Financial Services to offer free financial planning services. Along with ANA, MNA collaborates with CommonBond to help you save money through student loan refinancing. Enjoy multiple travel options to help save you money. Collette Travel: Members receive discounts on the most amazing guided tours offered by Collette Travel to some of the most fascinating destinations both inside the U.S. and around the globe. MNA Members – login to access the link to your travel discounts! Orlando Vacation: Save up to 35% on your Orlando Vacation! Orlando Employee Discounts offers Exclusive Pricing on Hotels and Vacation Homes in or nearby Disney World and Universal Studios Orlando, as well as Discounts on tickets for All Orlando Theme Parks and Attractions. Discounts are also available on cruises. Receive a discounted rate on comprehensive identity theft protection from LifeLock to help safeguard your finances, credit and good name. QuestionPro's advanced survey features power our data intelligence, allowing us to create surveys, collect responses, distribute critical information, and analyze results.